Complimenting our innovative products is our consistently great photography. Our images are more than just snapshots. They are professional-quality sports portraits that players and their families will be proud to display and share with their friends and relatives. They help create a lasting memory of this season’s events and good times shared. Our photographers are trained in creating great imagery, and that each player is our client. We also have additional staff on hand to help make your photography event run smoothly. We pay attention to all the details that go into producing a well run photography program. Personalized Products: Many of our products are personalized with your players’ names and more. Our magazine covers, and plaques include player and team names. Our trading cards feature many of the player’s stats – just like “Pro” cards! If you have needs for special recognition, scholarships, additional fund-raising – or more – let us know. We have programs with elements to meet those needs. If permitted the opportunity to conduct your Picture Day, we will demonstrate our appreciation by “giving back” to your league or organization. 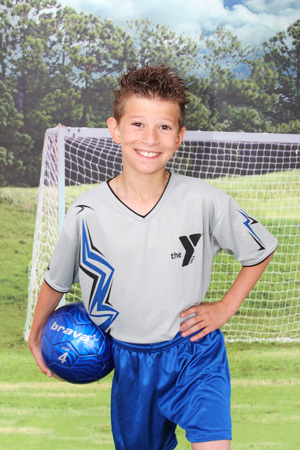 Legends will supply your league with such perks as Sponsor Plaques, Coach Plaques and Coach/Child pictures. Other options are available such as team sponsorships, cash donations, or establishing an academic scholarship program for your league or organization. Contact Legends of Texas now and learn more about the best value in youth sports photography!